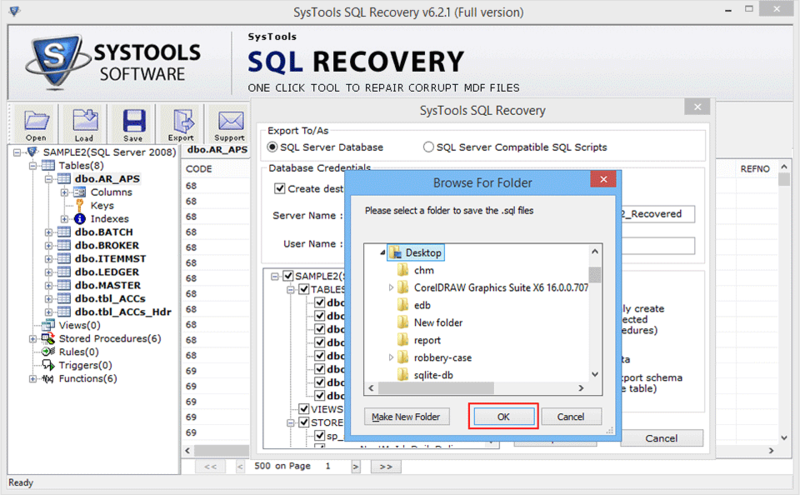 How to Recover a Corrupt SQL Database Convenience Offered Here! 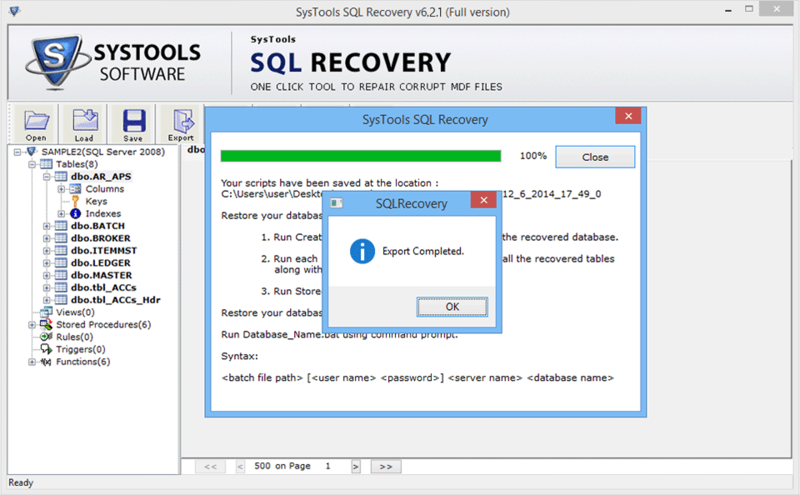 A SQL Server reboot or detaching and re-attaching your database when there is a possibility that the database has been corrupted is almost certainly going to make the situation much worse and the recovery process much harder. 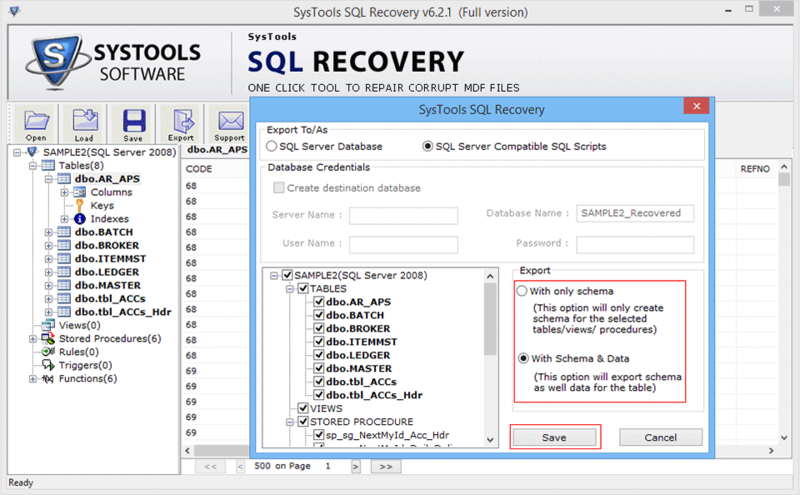 And due to it users having a query that how to recover a corrupt SQL database? 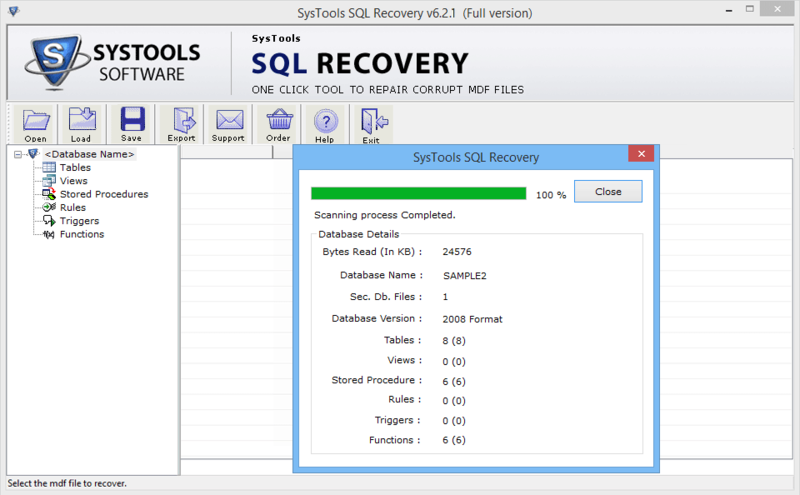 SQL Server Database Restore utility is the perfect solution for restoring a corrupt MDF file, as it maintains data consistency in order to restore the database as it is and can also Extract Data from SQL Server. 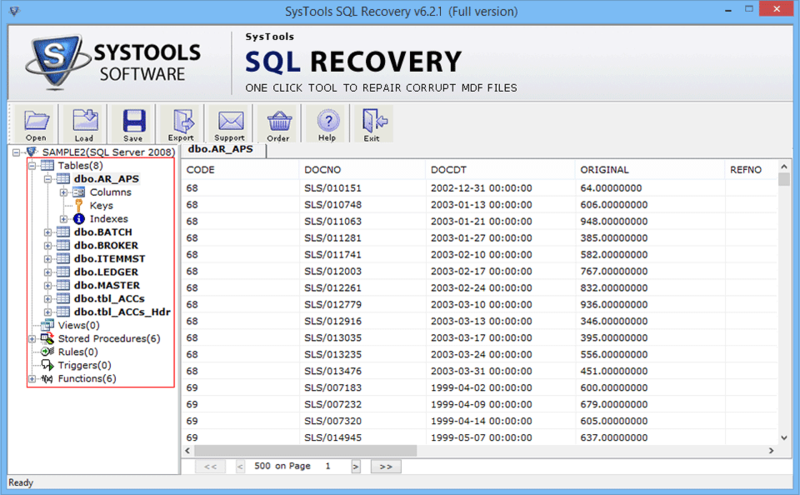 However, sometimes the SQL files gets corrupted thus making the SQL database inaccessible. 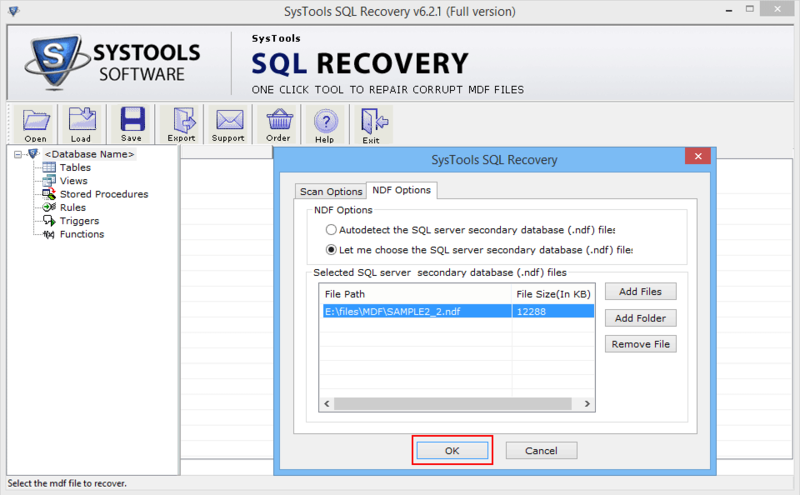 In that situation, users should apply for suitable technical tools such as fix corrupt SQL database free utility and can repair SQL MDF file in order to normally work with MS SQL database. 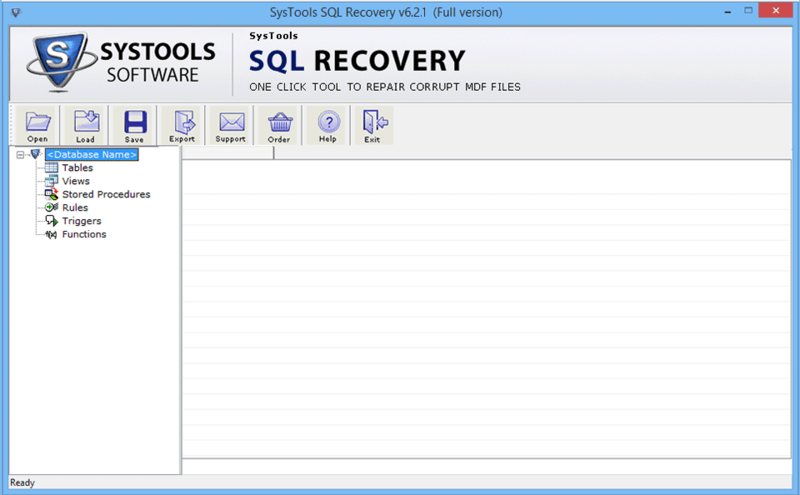 Go to Start menu » Programs » SQL Recovery Software. The following screen will be appeared after that: Click on Open Button to select MDF file. 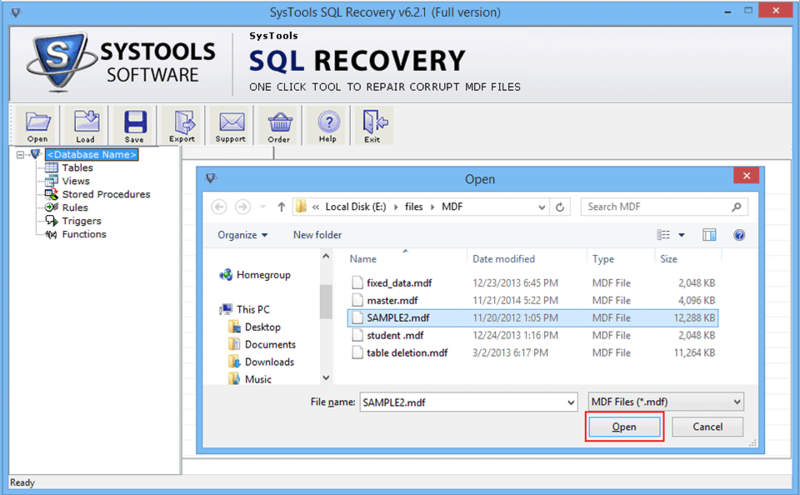 Choose corrupt or damaged MDF file and then click on Open button. 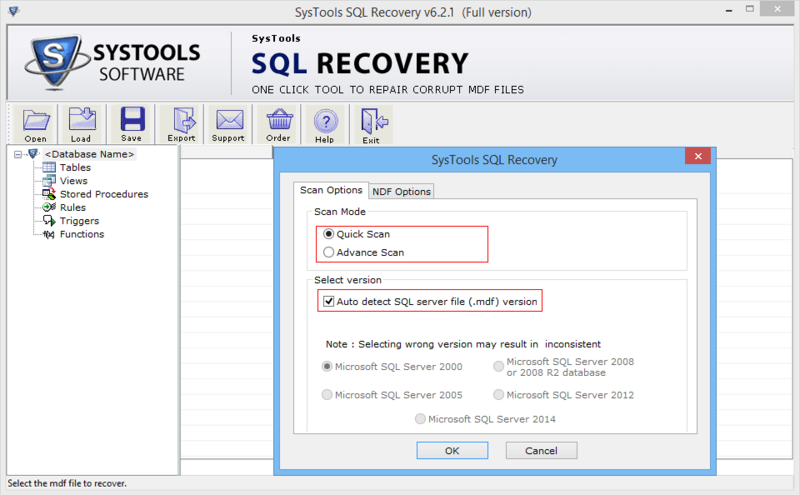 Now select the Scan Options and Version of the SQL Server MDF file. Note: Tool has Advance Scan option for highly damaged MDF file. 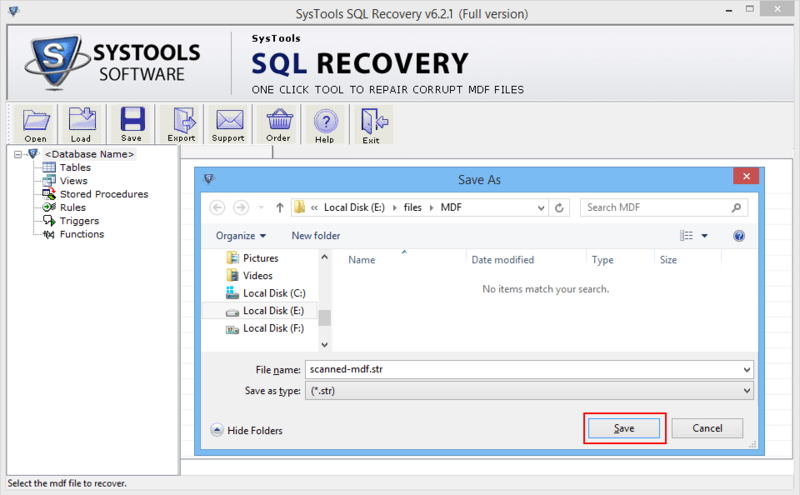 User can select the NDF Options for NDF file recovery and click on Add Files for adding NDF file, Add Folder button for adding whole folder containing multiple NDF files. Then click Ok button. Then choose the corrupted NDF Files (secondry database) and click on Open button. After that, software will show you the location path of selected MDF file then click on Recover button to start the recovery process. After complete the scanning process, if you want to save it .str format then click YES, otherwise click NO and go to next step. Then after click on the Export Button. Then choose the Saving Options. 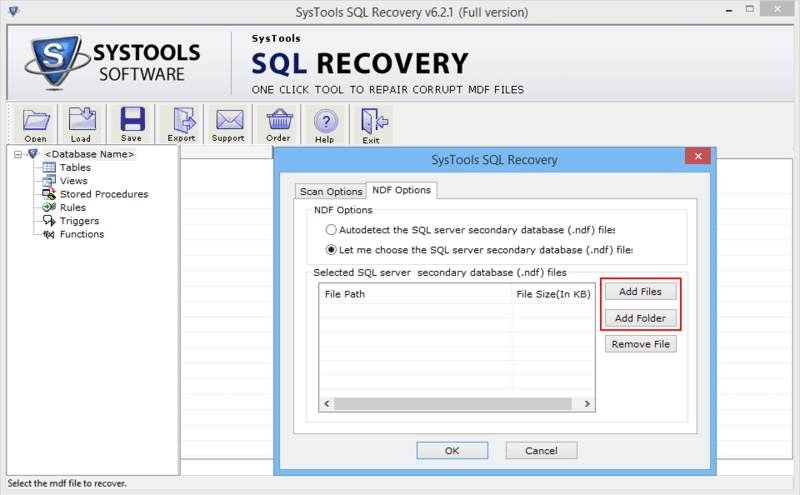 SQL Server Database : If users will choose SQL Server Database, then software will save or import the repaired MDF file in existing SQL server database. At this users will need to provide all the database credentials such as: Server Name, Database Name, Username, Password. Then select the tables, views procedure to be saved from the left-bottom panel and finally click on Export/Save button. SQL Server Compatible SQL Scripts : If users will choose this option, then software will save all SQL scripts in a specific folder. At this users will need to select the tables, views procedure to be saved from the left-bottom pane and finally click on Export/Save button. After choosing the saving options click on the Export button. Select a folder to save the .sql file. 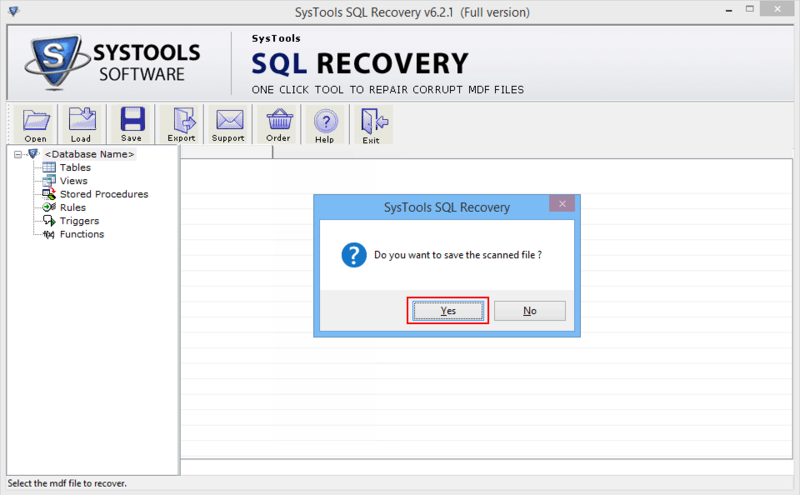 You should click on Close button and then navigate the saving location for finding the recovered sql script file.